This fabric based installation is a constantly evolving work. 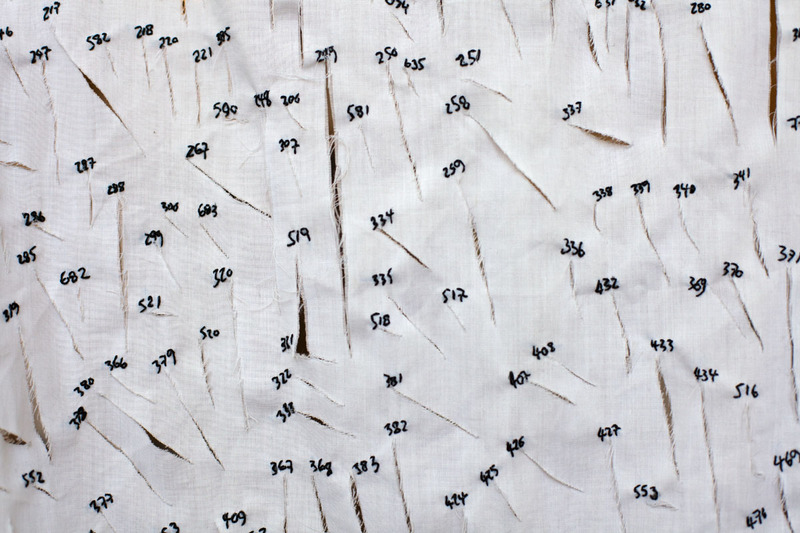 Initially cut 1000 times and partially re-sown, each cut is marked by a hand embroidered number. 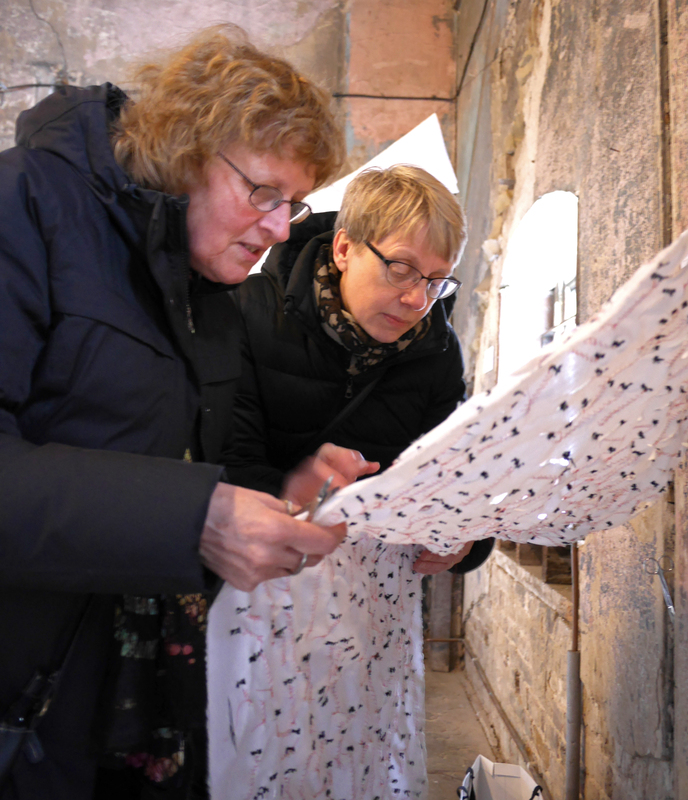 Viewers are invited to participate and contribute to the piece, either by cutting open or sewing closed the cut cloth. Acting as a metaphor for everyday indignities and injustices, these interactions evoke powerful emotional responses and lead to many extraordinary discussions as each person brings their own experiences to the work; memories of physical and emotional wounds, poverty and struggle, conflict and war, exile and migration, feelings of power and also transgression. 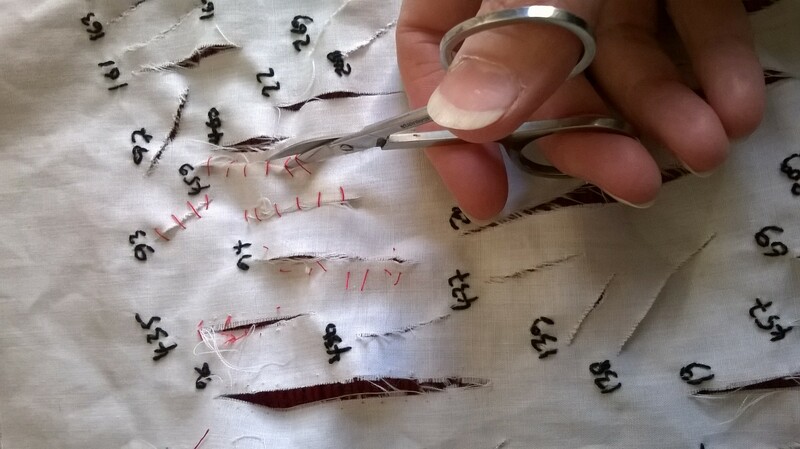 Julia worked with filmmaker Tony Price to film and record shared conversations as the cloth was cut, sewn and shaped by many different hands.